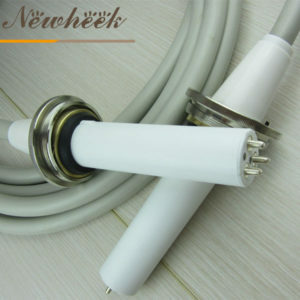 About Newheek’s high voltage cable has been introduced so many times, and there is no systematic introduction to everyone. Today I am from the application and structure of high voltage cable. 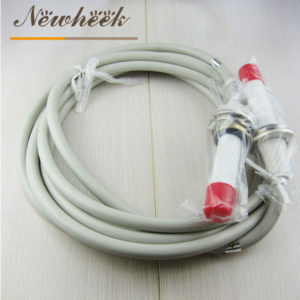 The high-voltage cable connects the high-voltage generator and the x-ray tube head in the large and medium-sized x-ray machines. The function is to send the high voltage outputted by the high voltage generator to the two poles of the x-ray tube, and send the filament heating voltage to the filament of the x-ray tube. The structure of the high-voltage cable: there are two types of coaxial cable (concentric) and non-coaxial cable (non-concentric). Outside the conductor, it is the main insulation layer of high-voltage cable, made of rubber and chemical raw materials, and the thickness is between 4.5-13mm. It has good mechanical strength and toughness and can be bent within a certain range. The pressure resistance requirement is generally 50-200kV. Braided with tinned copper wire with a diameter of not more than 0.3, the braid density is not less than 50%, or covered with a tinned copper wire mesh, and is tightly attached to the semiconductor layer and welded to the high-voltage plug flare at both ends of the cable. , grounded through the retaining ring. The role of the metal shield is to prevent electric shock to the operator or patient when the high voltage cable breaks down to ensure personal safety. The outermost layer is made of plastic and is woven with black cotton yarn and vinylon thread. The role is to strengthen the mechanical protection of the cable, reduce external damage, and prevent harmful gases, oil and ultraviolet rays from harming the cable. Prevent excessive bending. The bending radius should not be less than 5-8 times the diameter of the cable to avoid cracks and reduce the insulation strength. Always keep the cable dry and clean, avoid oil, moisture and harmful gases to avoid aging rubber. The above is the overall introduction of Newheek high voltage cable, if you want to know more about Newheek, please contact our customer service.